Welcome back to the Evergreen Home Health Care blog! 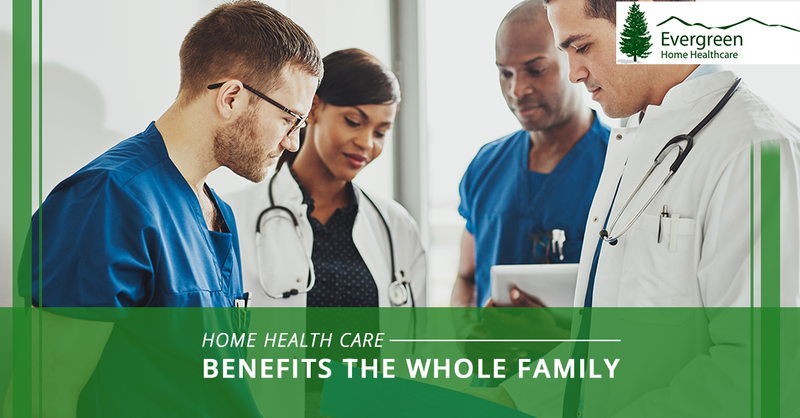 In our last blog post, we started talking about a few of the reasons that switching from care at a facility or hospital to home health care was beneficial for a family. That blog post focused primarily on the benefits that your child with disabilities will see through the change, but today’s blog post is going to draw focus to the ways that parents and siblings will be able to benefit from the switch. So, let’s get started! While only one member of your family may be physically or mentally coping with a disability, that doesn’t mean that the disability doesn’t take a toll on the rest of the family. Evergreen Home Health Care has worked with numerous families in numerous circumstances, and one of the areas that we constantly see families neglecting are those that aren’t directly affected by the disability. 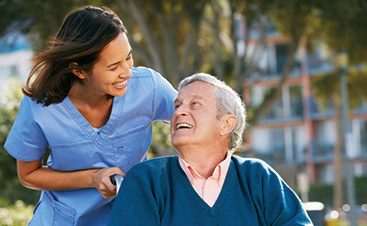 This form of care is the answer to many of the problems that families wind up stressing over, so let’s go ahead and look at some of the main issues that receiving care in a facility or hospital can bring up, and how they’re resolved through in-home health care. One of the main benefits that you’ll see by switching to an in-home healthcare solution is a decrease in the amount of money that you’re spending on lodging and transportation. These costs can sometimes go unnoticed, but more often than not they add up to be quite noticeable. Transportation, for example, is one of the costs that we don’t really realize how much we’re putting into it, but when you’re constantly having to make drives to the hospital or a care facility, you’re certainly going to be building up some transportation expenses. These are usually the costs that can build up but are easier to look over. While that may be the case for transportation, paying for boarding while your child stays overnight in a hospital or facility is certainly noticeable and adds up much quicker. On average, a night in a hotel is $70, but that’s not usually the case for last minute stays or higher quality hotels. At that rate, you can expect to be spending anywhere from $100 to $150 for a night in a hotel. Rather than let these costs build up, in-home health care allows for you to enjoy incredible care in the comfort of your home. 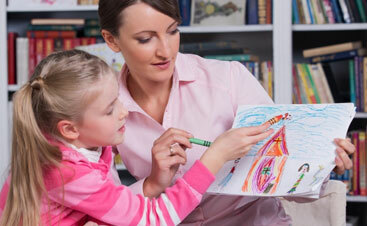 If you have a child that is going to require overnight assistance, we can take care of you. If you need someone that will be there 24/7, we can help you. The only difference is that this care is now directly in your home, instead of in a city hours away or far enough away that you need to pay for board and stay. Let’s not forget the various other costs that do come with traveling. This is just a humble overview of the various expenses that your in-home healthcare will counter. That being said, let’s get to the next major benefit that is seen when this switch is made. It goes without saying that financial security is a major concern of many families when caring for a child with disabilities. This form of care is constant and it is expensive, there’s no doubting that. Aside from how quickly the costs of care and equipment can add up, having to care for a child full time can often eliminate the option of working full time. This decision also cuts into the stability of a home, so what’s the answer? Having a caregiver in your home makes it so that your child is never left unattended, never left without the best of the best in regards to care, and has the full attention of their caregiver. In short, that means that you are providing your child with everything that they need and you no longer have to be sitting by their side “just in case” something happens. One of the main reasons that so many families do make the switch to in-home pediatric care is because of the need to work. This is a need for most families, so it makes sense that investing in this form of care can provide not only an opportunity to save money but also an opportunity to work a full-time job. This is truly one of the most beneficial parts of switching to this form of pediatric health care, primarily because it’s something that most families need and are unable to do otherwise. We value the ability to provide families with a lifestyle that feels normal and allows for them to provide the way that they need to, and this is certainly one of the ways that we’re able to follow through with that goal. Now, for obvious reasons, this isn’t a scenario that is going to be inclusive of all families, but there are certainly some where siblings will be considered in the mix. If this isn’t the case for your family, you can go ahead and jump to the next point, but otherwise, give this portion a read! Having a sibling with disabilities is quite the challenge, especially for younger children. Initially, this is something that’s very difficult for children to grasp, and for good reason. It’s a completely different life than theirs, but it’s family, so how do you overcome this? Well, for starters doing your best to sit them down and explain the situation as best as possible, but exposure is a crucial part to really driving the difference between them and their sibling. The type of care that your children with disabilities needs is one of the only differences that their sibling should really see, but seeing them in hospitals or care facilities can completely change the perspective of a child and turn it into a scenario where their sibling is sick or requires medical assistance to live a normal life. 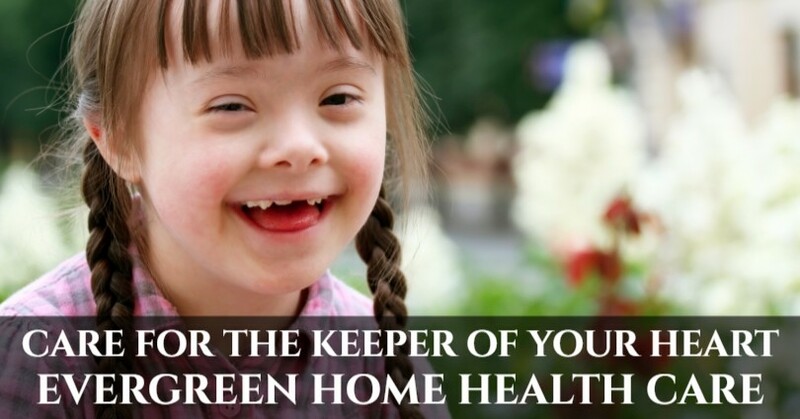 By having in-home health care, you can provide your children with a life that runs on your ruling. What me mean by this is that your family will have as natural and “normal” of a lifestyle as you decide. 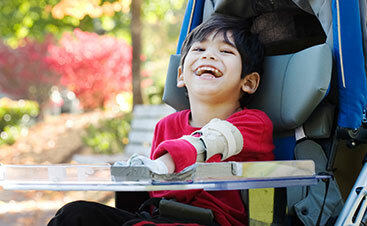 Exposing your children to the care of your disabled child makes it apparent that assistance is needed, but it teaches them what their siblings need to be okay, how to better care and assist them, and it does all of this without creating that image of their sibling in a hospital or care facility. Keeping it all in the family, in the comfort of a home, really can be beneficial! The last point that we’re going to cover today is one that hits home with every single person in this scenario has dealt with, and that’s the pain of seeing your child uncomfortable or struggling. Hospitals aren’t easy for most people, and they certainly aren’t easy when you’re there to receive care for your child. The smell lingers, it doesn’t look or feel like home, and there are so many people coming in and out that it’s hard to keep track of who you’re working with. For so many years this was the only option that all individuals in need of care had available, but that isn’t the case anymore. Rather than watch your child sit in pain or discomfort at a hospital or care facility, you have the ability to take their care to your home and ensure that they are living a comfortable life. You have no idea how much the transition of care can change the way that your child views their care routine or regimen, just by being somewhere familiar. There are, yet again, so many more reasons that this form of pediatric health care is beneficial for children and families, but this is all that we’re going to cover today. We hope that in doing so you’ve gained some insight as to how this form of care can change the way that your family lives and the way that your child benefits from care. If you’re interested in learning more about the pediatric health care that we provide,click here and browse the rest of the Evergreen Home Health Care website. You can also find plenty of beneficial information when you browse through our blog. Aside from that, feel free to contact us, we provide at-home care for both the Fort Collins and Denver area! Thank you for stopping by to read, please check back soon for future blog posts!